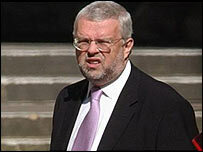 OLDRIGHTIE: Goldman Sachs Loves Chris Huhne! Goldman Sachs Loves Chris Huhne! Fat Cat among fat cats. Flanders failed to tell us what was going on? This HMRC "victory" in court is just another little glimpse into how the Common Purpose system works for the high and mighty. You and I just get screwed over at will by them all. Note in this piece the hand of Gavin Davies, ex-BBC, friend of Snotty and all round net-worker on our backs and taxes. Then there is Obummer's lot. Also in the pocket of Goldman Sachs. I bet there was a conversation on The Boy Camoron's trip between some of the "advisers" with regard to this little matter in the UK High Court. It might be how it is all supposed to work. if they were better at it I could be persuaded as to "why not" thinking. The trouble is they have destroyed our way of life, opened up a plethora of Pandora's boxes, not least the EUSSR and are clueless as to how to mend it. In the meantime millions are losing the opportunities life has to offer. That refrain "It's the rich wots get the pleasure" was never more apt!